When I was younger, I’d often find myself in arguments with boys my age. These arguments ranged from who had the nicest shoes to why shouldn’t girls play on the soccer field. Because I went to a private school, gender norms were not as conservative as those in rural areas. As I got older, however, I began to notice a drastic difference in the way boys thought versus how girls did. One day, our teacher asked us all what we wanted to be when we got older. The majority of the boys declared their dreams of high profile and high paying jobs. The girls, on the other hand, wanted to be nurses, or teachers, or housewives. At the time, I thought I wanted to be an author, but that day sparked my interest in gender studies, particularly in West Africa. I began to realize the problem with gender norms in The Gambia and its implications on the minds of its children. Over time, the idea that you can measure a woman’s value by how quickly and correctly she can fold a pair of pants morphs into an internalized idea that women should not tread out of their household duties. It is a problem that affects our women and our men because they all grow up with preconceived notions of their place in the world. Then, they teach what they know to their children, furthering a cycle of patriarchal values and a toxic gender hierarchy that completely strips women and men of their potential. If women are expected to keep the house in order, they are immediately closed off to any other possibility of what they could become. Men, in turn never develop any sense of responsibility or self-care; they are expected to be taken care of as long as their wife is around. Unfortunately, the youth of The Gambia are slaves to a system of people that are unwilling to accept the fact that there is even a problem. Rather than confronting issues that are damaging to the progress of our country, people choose to ignore it and hope that the less we talk about it, the less prevalent it will become. As the youth of The Gambia come to find their place in society, I hope that we can all respectfully abandon the patriarchal values that our ancestors have left before us. 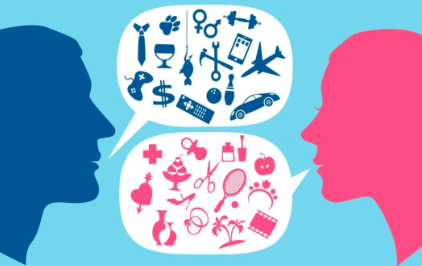 Through educating ourselves, and each other, we can halt the negative impact that gender roles have on individuals and the country as a whole. I love this passage, Begai. Toxic gender roles don’t only limit women; they limit men’s lives too! Thanks for sharing this perspective.